On the hunt for that perfect used car? When you choose a pre-owned vehicle from Beach Mazda, you can trust that whatever make and model you choose has been thoroughly inspected for quality. Better yet, we have a variety of used car specials available so you can feel good about what you choose to drive home to Charleston. After you’ve taken a look at our pre-owned vehicle specials online, be sure to contact us to make an appointment and visit us in person! We look forward to getting you behind the wheel of a pre-owned car you’re excited about for a price you’ll love. Want to make your vehicle even friendlier on your wallet? 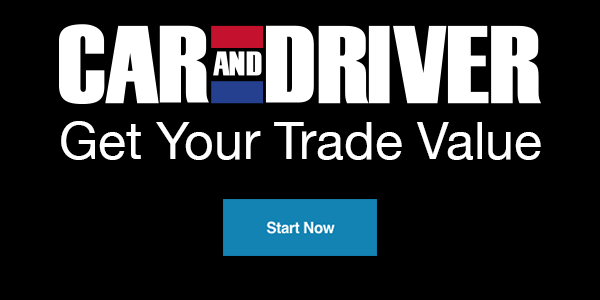 Consider trading in your vehicle, or browse our vehicles under $15K. Shadow Black 2018 Ford Escape SEL FWD 6-Speed Automatic EcoBoost 1.5L I4 GTDi DOHC Turbocharged VCT Odometer is 4889 miles below market average! 23/30 City/Highway MPG Located at Beach Automotive in Myrtle Beach, SC. If you're in Myrtle Beach, Conway, Florence, Pawleys Island or anywhere else come check us out. Certified. Tuxedo Black Metallic 2015 Ford F-150 Platinum 4WD 6-Speed Automatic Electronic EcoBoost 3.5L V6 GTDi DOHC 24V Twin Turbocharged One Owner, Every Ford Certified Pre-Owned vehicle comes with a 12-month, 12,000-mile comprehensive limited war, Clean Carfax, Located at Beach Automotive in Myrtle Beach, SC., 4WD, ABS brakes, Alloy wheels, Compass, Electronic Stability Control, Front dual zone A/C, Heated door mirrors, Heated front seats, Heated rear seats, Illuminated entry, Integrated Trailer Brake Controller, Low tire pressure warning, Navigation System, Remote keyless entry, Traction control, Voice-Activated Navigation. Every Ford Certified Pre-Owned vehicle comes with a 12-month, 12,000-mile comprehensive limited warranty covering more than 500 components PLUS a 7-year/100,000-mile powertrain limited warranty. * *See dealer for details. Odometer is 17676 miles below market average! Ford Certified Pre-Owned Details: * Powertrain Limited Warranty: 84 Month/100,000 Mile (whichever comes first) from original in-service date * Vehicle History * Includes Rental Car and Trip Interruption Reimbursement * Roadside Assistance * Warranty Deductible: $100 * Transferable Warranty * Limited Warranty: 12 Month/12,000 Mile (whichever comes first) after new car warranty expires or from certified purchase date * 172 Point Inspection Awards: * Green Car Journal 2015 Green Car Technology Award * NACTOY 2015 North American Truck of the Year * 2015 KBB.com Brand Image Awards Based on 2017 EPA mileage ratings. Use for comparison purposes only. Your mileage will vary depending on how you drive and maintain your vehicle, driving conditions and other factors. Located at Beach Automotive in Myrtle Beach, SC. If you're in Myrtle Beach, Conway, Florence, Pawleys Island or anywhere else come check us out. White Platinum Metallic Tri-Coat 2018 Ford Expedition Limited RWD 10-Speed Automatic EcoBoost 3.5L V6 GTDi DOHC 24V Twin Turbocharged One Owner, Clean Carfax, Adaptive Cruise Control, Automatic High Beam Headlamp, Driver Assistance Package, Equipment Group 301A, Lane-Keeping System, Navigation System, Panoramic Vista Roof, Pre-Collision Assist, Rain-Sensing Front Wipers. Odometer is 13956 miles below market average! Awards: * JD Power Initial Quality Study (IQS) Located at Beach Automotive in Myrtle Beach, SC. If you're in Myrtle Beach, Conway, Florence, Pawleys Island or anywhere else come check us out. Stone Gray Metallic 2018 Ford Expedition Max Platinum RWD 10-Speed Automatic EcoBoost 3.5L V6 GTDi DOHC 24V Twin Turbocharged One Owner, Clean Carfax, 22" Polished Aluminum Wheels, 2nd Row Bucket Seats, Adaptive suspension, Equipment Group 600B, Navigation System, Power moonroof. Odometer is 9653 miles below market average! Located at Beach Automotive in Myrtle Beach, SC. If you're in Myrtle Beach, Conway, Florence, Pawleys Island or anywhere else come check us out.